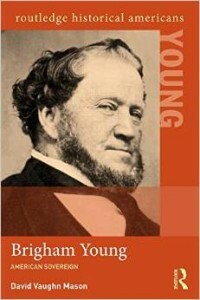 Summary: In a lively, concise narrative bolstered by primary documents, and supplemented by a robust companion website, David Mason tells the dynamic story of Brigham Young, and in the process, illuminates the history of the LDS Church, religion in America, and the development of the American west. This book will be a vital resource for anyone seeking to understand the complex, uniquely American origins of a church that now counts over 15 million members worldwide. Summary: Theatre and Religion on Krishna’s Stage examines the history and form of India’s râs lila folk theatre, and discusses how this theatre functions as a mechanism of worship and spirituality among Krishna devotees in India. From analyses of performances and conversations with performers, audience, and local scholars, Mason argues that râs lila actors and audience alike actively assume roles that locate them together in the spiritual reality that the play represents. 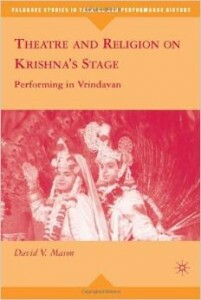 Correlating Krishna devotion and theories of religious experience, this book suggests that the emotional experience of theatrical fiction may arise from the propensity of audiences to play out roles of their own through which they share a performance’s reality. Summary: What do prominent Mormons like Mitt Romney, Harry Reid, and Glenn Beck believe? You’ll have to ask them. The presumption that Mormons believe anything collectively and uniformly is a mistake that Mormons themselves make as often as anyone else. Mormon individuals believe a lot of things. A lot of different things. The presumption that what some Mormons believe is weird, on the other hand, is spot on. But Mormons don’t believe anything that’s any weirder than the rest of the religious world. Religion is an art. Like art, religion isn’t necessary, it’s beautiful. And, like art, it doesn’t have to make sense. Religion isn’t an explanation of the cosmos, it’s a commitment an individual makes to things that are irrational and useless, but that are also creative and lovely. And, like the creativity of art, religion’s creativity comes from an individual vision. 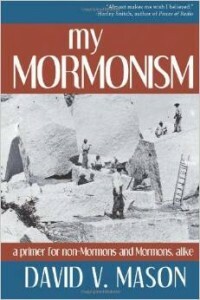 My Mormonism describes the expression of one person’s religious imagination, and the way it is shaped by and also shapes the Mormon tradition. There’s no denying that it’s a weird and unnecessary worldview. But think of all those creative worldviews out there that are undeniably weird and unnecessary.